The Sheep Whisperer: "Otter"ly Playful ! 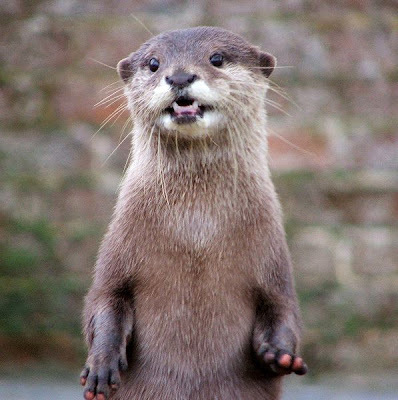 The River Otter is the most entertaining & carefree member of the weasel family. It is able to turn ordinary routine tasks into exciting adventures! Averaging thirty lbs. 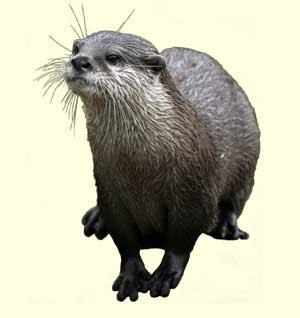 & three ft. in length,this joyful mammal is an expert swimmer as well as an excellent parent ! Ok,I'll admit it! I like to have Fun!Ewe got a problem with that? Ewe heard me correctly! I said that I Love Life & don't complain! The Otter family stays together for about a year,living in a "holt" or den, which is an underground tunnel leading to water.During that time, they will train their two or three pups the basics of survival.Pups are initially afraid of water, however, the parents patiently teach them in a step by step fashion.They play on land & eventually will ride their parent's backs into the water.When the time is right ,the parents slip out from under them, helping the pups see that they are buoyant & their fears immediately flee away! "When it's cold outside,I've got the month of May!" Sheep have the most fun when frolicking in the pasture ,in the presence of their Shepherd. 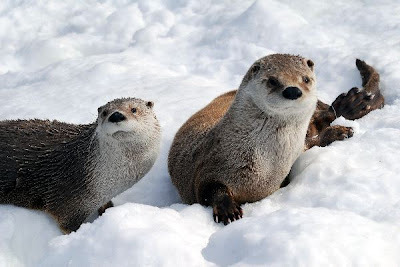 The contentment they display is similar to the fun the Otter has in just going about its daily business.They are doing what God created them to do & enjoying it to the fullest! I Love being a Kid!Life is Good! 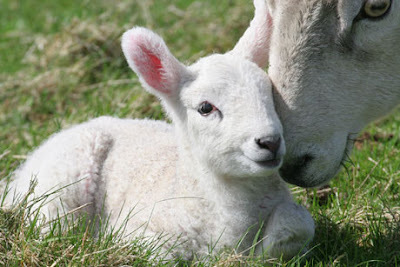 Live ewe-r life today with the "zest" of an Otter & the "contentment" of a Lamb, aware that His presence makes all the difference in ewe-r world!